The following titles – and more – will be on the shelves of Hartford Public Library, beginning October 25*. If the title is not at your closest branch, place a hold and it will be delivered there for you. All our titles are in our catalog; you may search it at any time. *As usual, we are listing the new releases for the week. However, due to the conversion of our library system, it will be two extra days before we are able to put them on the shelves. We are also unable to place holds during this time. When the new system is live on Thursday, October 25, you will be able to go to the library’s online catalog (it has no data as of Tuesday) to review your account as you’ve done in the past, and to place holds. 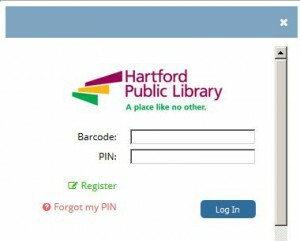 A link at the top of the page for My Account will open a pop-up window, prompting you to enter your barcode and a PIN. Your barcode has not changed. The PIN, which you may change after logging in, is initially set to “changeme” (it is not case sensitive). Some information about changing your PIN (and other features of the new system) may be found here. As always, you may also contact us directly, or visit in person, with questions. The internet was never intended for you, opines Brian McCullough in this lively narrative of an era that utterly transformed everything we thought we knew about technology. In How the Internet Happened, he chronicles the whole fascinating story for the first time, beginning in a dusty Illinois basement in 1993, when a group of college kids set off a once-in-an-epoch revolution with what would become the first “dotcom.”Depicting the lives of now-famous innovators like Netscape’s Marc Andreessen and Facebook’s Mark Zuckerberg, McCullough also reveals surprising quirks and unknown tales as he tracks both the technology and the culture around the internet’s rise. Cinematic in detail and unprecedented in scope, the result both enlightens and informs as it draws back the curtain on the new rhythm of disruption and innovation the internet fostered, and helps to redefine an era that changed every part of our lives. Available at Albany and Barbour. Being “shook” is more than a rap lyric for Charlamagne, it’s his mission to overcome. While it may seem like he is ahead of the game and should have nothing to worry about, he is still plagued by anxieties—fear of being weak; fear of being a bad dad; fear of being a worse husband; and ultimately, fear of failure. Shook One chronicles his journey to beat back those fears and empowers you to no longer be held back from your potential. Shook One details the ways anxiety has been a driving force in Charlamagne’s life since childhood. For many years, he stressed over what he thought were personal shortcomings: being unpopular in school, potential rejection by women, being ugly, and worst of all, falling into the life of stagnation or crime that caught up so many of his friends and family in his hometown of Moncks Corner, South Carolina. Even after achieving national prominence as a radio personality, Charlamagne still found himself paralyzed by thoughts that he wouldn’t be able to take his career to the next level. But now, in Shook One, he is working through these problems with help from mentors, guests on his show, and therapy. He knows therapy and showing weakness are anxiety producing in the black community, but this is one of the reasons he wants to own his truth—to clear a path for others in hopes that they won’t feel shame while dealing openly with their mental health.